Launch up A Moon for the Sky after the old moon dies! 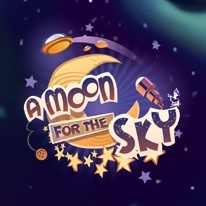 Carefully guide the new moon up into space in this unique Action & Arcade game! At the dawn of each new millennium, Astrolunia sees its moon die and the world is thrown out of balance. Create platforms that the moon will use to bounce up into the night sky. Avoid tricky obstacles as you master different levels and save the planet of Astrolunia!